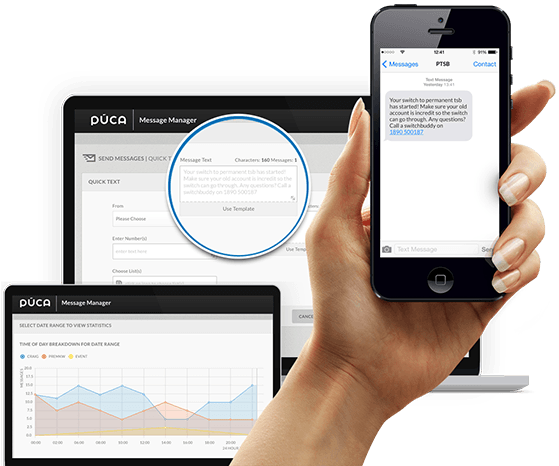 Púca’s Message Manager™ system enables Permanent TSB to use SMS marketing techniques to communicate effectively with pre-switch current account customers. Five text message templates were used to guide customers through the application process. Each message corresponded to a different stage in the application process, for example requests concerning the customer’s previous account, confirmation of the account application, requests for documentation, reminders, and confirmation of the switch. In addition, each message contained the phone number of the customer’s Switch buddy to allow regular two-way communication.